Includes 3 items: The Sims 4: Vampire Game Pack, Kids Room Stuff Pack and Backyard Stuff Pack. This Game Pack adds a bunch of totally new Create a Sim options! We've got glowing eyes and creepy eye sockets, new washed out skin tones suitable for Sims that literally never see daylight, and some really dramatic brow options to give your Vampire that sinister-ancient-being look. There's more, don't worry, but we know how much you love finding fun new stuff. Oh, and about those two forms. You'll be able to fully customize both options, but if you've perfected an outfit and want it for both forms, we've got you covered with a handy little button to copy between them! 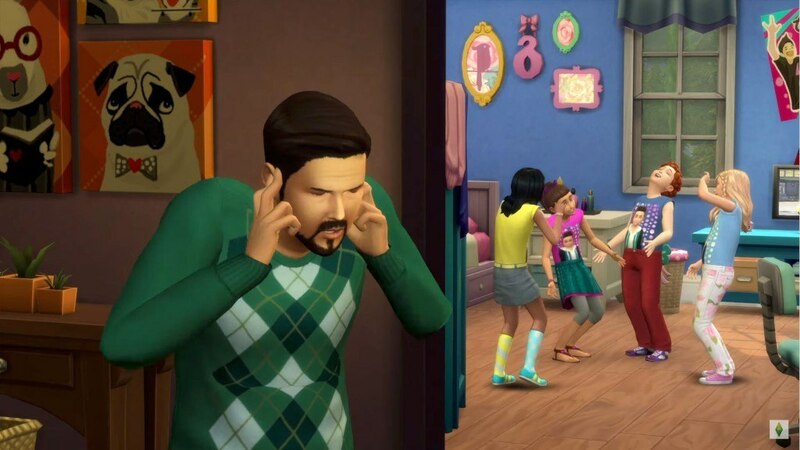 Childish Sims and Simmers rejoice; The Sims 4 Kids Room Stuff it all about giving those little rascals more to occupy their time. A child Sim can put on a performance in the Puppet Theater to help with their social development, they can stoke their competitive fire by challenging their friends at the Voidcritter Battle Station, and they can go out exploring in the world to discover and acquire the new Voidcritter collection. 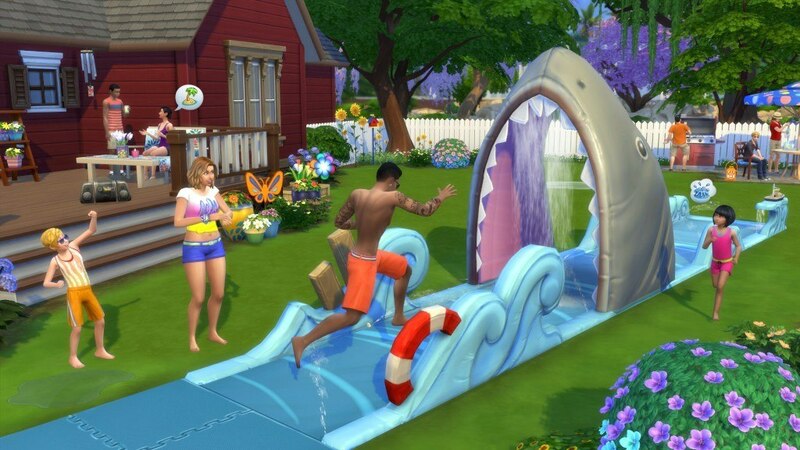 The days are long and the sun is bright; it's the perfect time for your Sims to enjoy The Sims 4 Backyard Stuff! Looking to update your backyard? Additional customization options for your outdoor spaces await, with bright colors and patterns adding a splash of excitement. You'll be able to decorate with everything from spinning wind catchers to spitting frog fountains and scented flowers, all helping set a casual backyard vibe. 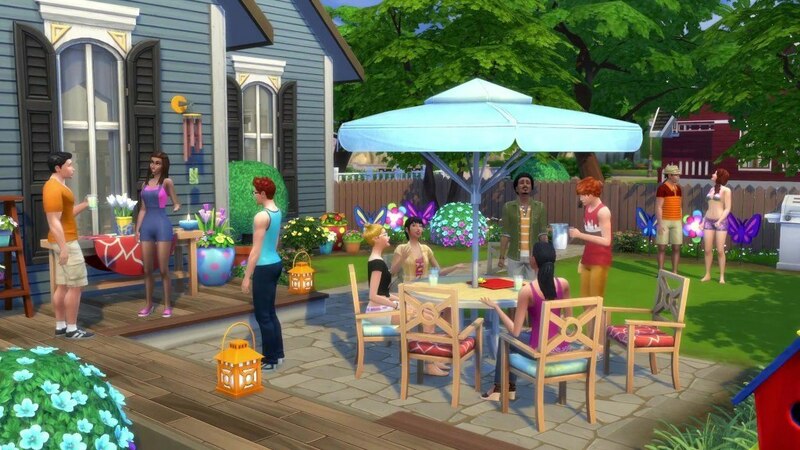 When your Sims' friends and family drop by for a cookout, they'll be showing off their stylish new fashions as they sit around the new umbrella table that accommodates meal servings for up to six Sims. An assortment of comfortable clothing comes in vibrant summer prints, and relaxed hairstyles are available in natural and ombre colors.